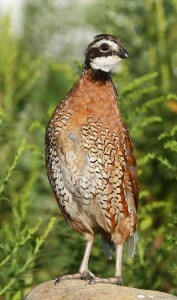 The National Bobwhite Conservation Initiative (NBCI) is the unified strategic effort of 25 state fish and wildlife agencies and various conservation organizations—all under the umbrella of the National Bobwhite Technical Committee—to restore wild populations of bobwhite quail in this country to levels comparable to 1980. Reversing long-term, widespread population declines of wild bobwhites, associated grassland birds and the native grassland ecosystems in which they thrive is an important wildlife conservation objective and an overdue stewardship responsibility. About Don McKenzie… Don was born in Savannah, GA and raised in Decatur, AL. He earned his B.S. in Wildlife Management at Auburn University in 1984 and his M.S. in Wildlife at the University of Missouri-Columbia in 1987. His graduate research was on utilization of natural moist-soil food resources by waterfowl on Mingo NWR in southeast Missouri. A side project, conducted to construct water and nutrient budgets within enclosed moist-soil impoundments, documented long-term risks to the sustainability of plant productivity and waterfowl habitat values. Don joined the South Carolina Waterfowl Association as Chief Biologist in 1987, helping start and grow the new group. He advanced to Washington, DC in early 1991 to join the Wildlife Management Institute (WMI) as Conservation Policy Coordinator, working primarily on agricultural and wetland conservation policy for 6 ½ years. Don left WMI in 1997 to raise his children in the Southeast and began work for the Arkansas Game and Fish Commission as Assistant Chief of Wildlife Management, where he supervised the Programs Section for more than two years. In late 1999, Don returned to WMI as the Southeast Field Representative. In autumn 2004, Don accepted a long-term assignment from WMI to the former Southeast Quail Study Group as the Coordinator for the then-named Northern Bobwhite Conservation Initiative. 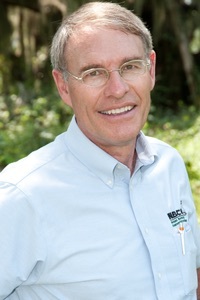 In October 2009, Don was employed by the University of Tennessee, the new national operational center for the NBCI, providing national leadership for bobwhite and native grassland restoration across the eastern half of the US. About Tom Dailey… Tom Dailey is NBCI’s assistant director and science coordinator. Prior to joining NBCI in July 2010, Tom was a scientist for 23 years with the Missouri Department of Conservation working on quail, rabbits, and wild turkeys. Tom’s quail research started in the 1980s at the Caesar Kleberg Wildlife Research Institute, Texas A&M University, Kingsville, and continued in Missouri and Illinois. Tom specialized in wildlife nutrition and physiology in Texas and Colorado, earning a Ph.D. at Colorado State University studying bighorn sheep and mountain goats. In addition to those specialties, Tom published scientific and popular articles on white-tailed deer, wild turkeys, swamp and cottontail rabbits, insects, songbirds, quail hunting, geographic information systems, landowner attitudes toward conservation, and corn and soybean production. When not working, Tom and his wife Sandy enjoy their 6 grandchildren, and they are making sure each knows how to garden, hunt, mountain bike, ski, and kayak. About Tom Franklin… Tom Franklin is NBCI’s agriculture liaison and served as senior director of science and policy with the Theodore Roosevelt Conservation Partnership. Tom’s education includes a B.S. in natural resource conservation and wildlife management from the University of Maryland and a M.S. in administrative science from The Johns Hopkins University. Tom started his conservation career studying human/wildlife interactions as a wildlife biologist and executive director with the nonprofit Urban Wildlife Research Center. He later joined The Wildlife Society as Field Director where he led local and regional program development, and then as Policy Director where he led the government relations program. He later became Conservation Director for the Izaak Walton League of America, and also was owner of The Wildlife Authority, a nature-oriented retail business. As a Certified Wildlife Biologist, Tom has authored articles for professional and popular outlets concerning wildlife management, association leadership, and natural resource policy. His work has been recognized by the Daniel L. Leedy Urban Wildlife Conservation Award; Professional of the Year award from the Maryland/Delaware Chapter of The Wildlife Society; and The Wildlife Society’s President’s Award and Special Recognition Service Award. He served as President of The Wildlife Society from 2008-’09 and is a Wildlife Society Fellow. He also served on two national advisory committees including the US Environmental Protection Agency Farm and Ranchland Advisory Committee and the Wildlife and Hunting Heritage Conservation Council, which advises the Secretaries of the US Departments of Agriculture and Interior. He is on the Executive Committee of the American Wildlife Conservation Partners; Steering Committee of the Teaming With Wildlife Coalition; served on the Board of Directors for the Sustainable Forestry Initiative, chairs the Wildlife Diversity Advisory Committee for the Maryland Department of Natural Resources, and is a member of the Howard County, MD Recreation and Parks Advisory Board. 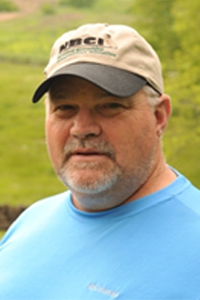 Tom is an avid outdoorsman and especially enjoys fishing, hunting, bird dogs, nature study, and managing habitat for wildlife on his family farms in Virginia. About Jef Hodges… Jef Hodges is NBCI’s grasslands coordinator. Jef grew up in the Osage Plains of west central Missouri where a majority of his formative outdoor experiences occurred. It is through this association his passion for grasslands and associated wildlife was nurtured. Jef lives on a farm his family has owned since the early ’70s. He has 2 children and 2 grandchildren. A certified wildlife biologist, Hodges has a B.S. in Fisheries and Wildlife from the University of Missouri and worked with the Missouri Department of Conservation in native grass restoration as a plant manager and marketer with a native seed company in Missouri, as a regional director and biologist (covering Missouri, Kansas, Iowa, Nebraska, Minnesota and Wisconsin) with the now-defunct Quail Unlimited conservation group, and owner/manager of his own company, Total Resource Management, LLC. He is a certified technical service provider by the Natural Resources Conservation Service (NRCS), serves on the NRCS State Technical Committee in Missouri, the Missouri Prescribed Fire Council and is a member of the Quail and Upland Wildlife Federation, Quail Forever, the Conservation Federation of Missouri and the Quality Deer Management Association. Jef enjoys game bird hunting with his Britney spaniel, turkey and duck hunting, as well as photography and motorcycle riding. About Steve Chapman… Steve Chapman is the Forestry Coordinator for the NBCI. Steve is a GA Registered Forester and a Society of American Foresters Certified Forester. Prior to joining NBCI, Steve worked as a consulting forester after retiring from the Georgia Forestry Commission (GFC) in 2013. Steve has a B.S. in Forest Resources from the D.B. Warnell School of Forestry and Natural Resources at the University of Georgia. 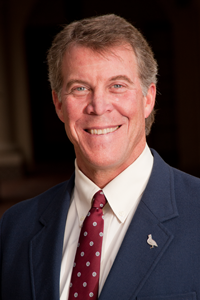 Steve continues to be active in the Society of American Foresters where he currently serves as the Chair-elect of the Georgia Division. Steve is married and has one daughter. He enjoys hunting, fishing, and being outside. About Molly Foley… Molly Foley is NBCI’s data analyst, handling quail population and habitat data across the participating states. Molly received her B.S. 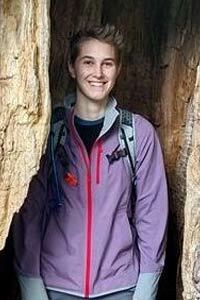 in Wildlife Management from University of Wisconsin–Stevens Point in 2014 and her Master of Geographic Information Science and Technology from North Carolina State University in 2016. Throughout her college career, she was an active member of her university’s chapter of The Wildlife Society, participating in and leading multiple projects on saw-whet owls, ruffed grouse, and porcupines. Her seasonal work also includes a vast foray of natural resources management activities, ranging from prescribed burnings and invasives removal to radio-telemetry studies on a wide variety of species. In her down time, she enjoys hiking, reading about all things herpetology, and running her dog in multiple dog sports such as K9 nosework and barn hunt. 274 Ellington Plant Sciences Bldg. About John Doty… As communications director, John manages NBCI’s web and social media presence as well as media relations and communications strategies. He has an undergraduate degree in journalism and professional experience in daily newspaper reporting, editing and publishing, subscription-based magazine publishing (both established and start-up), natural resource PR and communications in the federal sector, freelance writing and photography, and corporate communications for start-up entities. He is a member of the Association of Great Lakes Outdoor Writers, and a member and past president of both the Southeastern Outdoor Press Association and the Tennessee Outdoor Writers Association. In his spare time, he enjoys photography, fly fishing, shooting, boating, kayaking, and living on the shores of Norris Lake near Knoxville, TN with his wife, Carol.